Generate Extra Income by Renting Out Your Home | Puck Realty, Inc.
Do you have extra space in the basement that could bring in some extra money? Have you not sold your home yet and can’t afford to pay two mortgages? These are prime reasons people consider renting out spaces that they own but many people are nervous about beginning this process. 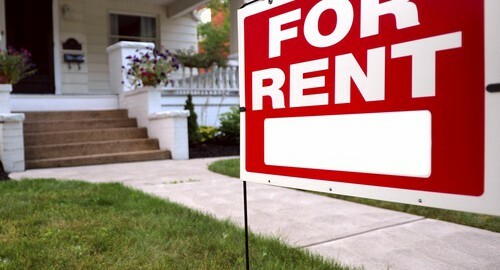 Here are some ways to make renting out your home easier while protecting yourself. You may want to jump right in and rent quickly so you can start making money, however this can cost you a lot of both time and money in the future if you do not rent to the right person. When renting out your home it is important that you do interviews and background checks to help you make the right choice. If you are renting a space in your home you may see this person often so it needs to be the right one – you do not want to be bumping into someone that you don’t like! Since they will be staying in your property so you need to know they will treat it right. In order to attract a number of potential tenants you will want to update the space so people want to live there. The cheapest and most effective way to do this is to paint the area in neutral colors, give it a deep clean and update the hardware on the cabinets. If you can – and it is needed – you will want to consider replacing appliances. You want to identify the price to rent the space for by considering a few aspects. First what are comparable spaces in the area renting for and what do you need to make to help cover part of or all of the mortgage? Second, consider if you can make a little extra while still being competitive. Using these strategies can help you then decide what you want to charge for the space. In order to protect yourself and property you will need the get the financial and legal aspects in order before renting out your home. Research the housing laws in Raleigh to help you create a good contract that protects you and your tenants. Also talk with an accountant to cover you with your taxes and filing correctly. Renting out your home, whether entirely or just a space in your home, does not have to be an overwhelming process. By doing your research, spending time preparing the space and finding the right tenants you can use the space to make some extra money.